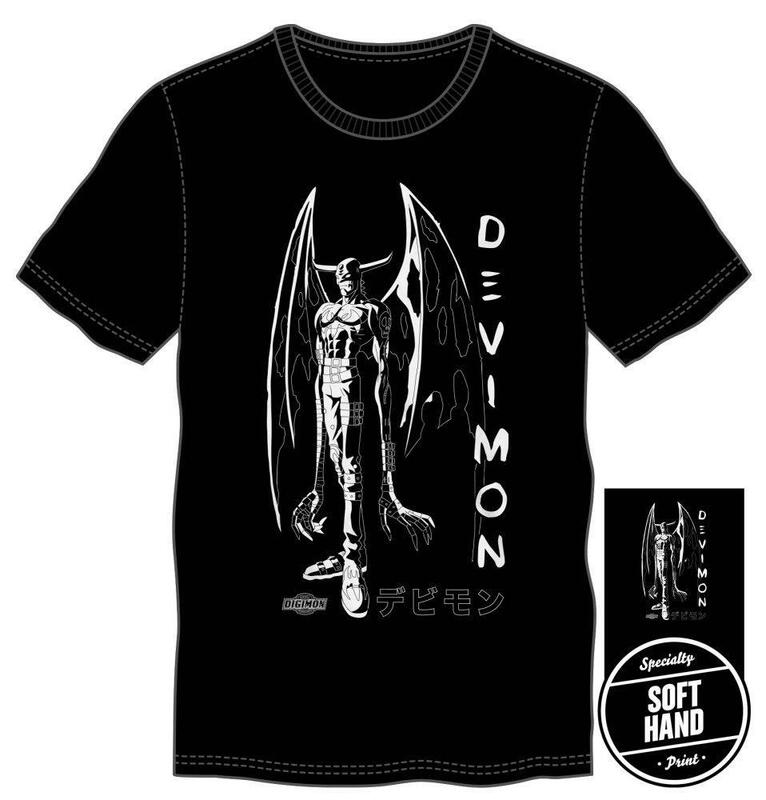 It's time for another new Digimon shirt in the US! This time, in a bit of a surprise, it features Devimon. It features his Season 1 artwork in black and white, along with his name in both English and Japanese. In the bottom left corner is the English Digimon logo. The shirt, from Bioworld, is already available at the Crunchyroll store for $22.49 in Small, Medium, Large, XLarge, and XXLarge, and is listed as 100% cotton. Hopefully it'll show up other places also (Gamestop, Thinkgeek, and Hot Topic have carried a number of Digimon apparel items in recent memory, so those are possibilities.) A few 3rd party resellers have listed the stores on random shops, but currently they all show as sold out or not available. Hopefully more apparel to come!